The future of homes is here and it's simply your current home connected to its devices with the home owner's convenience in mind. 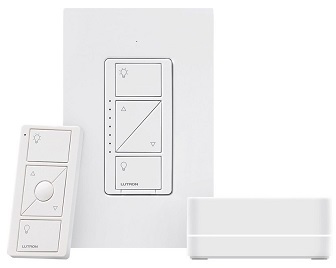 Modernize your next project with intelligent, connected devices. Join home builders throughout North America in taking advantage of recent innovations to differentiate your developments and make your client's lives easier. Connected devices put the home owner in control all from the convenience of their mobile devices. These devices are the solutions to the barriers of technology in a household and making previous challenges into simple solutions. The Nest Thermostat remembers what temperatures you like, creates a custom schedule for your home, and turns itself down when you’re away. If you want remote control, just use your smartphone, tablet or computer. 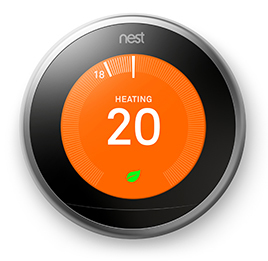 Nest’s system guides you to energy-efficient temperatures; you also can see how much energy you’ve saved and get tips to help you save more. 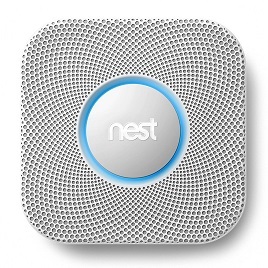 The Nest Protect smoke and carbon monoxide alarm speaks to tell you what the problem is and where it is. The simple act of beeping has saved thousands of lives. But a beep only lets you know that there’s a problem somewhere. In an emergency, you don’t have time to guess what’s wrong. With Nest Protect, you don’t have to. * Price listed does not include installation. ** Not compatible with all heating systems. Price listed does not include installation.